BITCOIN (BTC)–A spokesperson for Expedia, the popular U.S. based travel company which collects over 10 billion USD in annual revenue, has confirmed with Cointelegraph that the company will no longer be accepting Bitcoin for digital payments. While the company has yet to issue an official statement detailing their reasoning for removing the currency–and likely has no intention of doing so at this point–price volatility in addition to plunging Bitcoin prices is most likely to blame for discontinuing the service. Overstock.com, a company accepting crypto payment since 2014, made national headlines through much of last year (and significant profit–OSTK rose 300% on the year) through its foresight to get ahead of the digital payment curve. However, other companies have yet to see the same benefit from taking the plunge into cryptocurrency, at least to an extent that outweighs the volatility and negative press. Expedia, with a market cap hovering around 18.2 billion USD, has a responsibility to shareholders that supersedes their interest in accepting cryptocurrency. Despite the fact that some community members have stated they will no longer be using Expedia given their stance on accepting cryptocurrency, the company has chosen to distance themselves from the tumultuous price of Bitcoin. Undoubtedly, BTC payments made up a small fraction of overall sales, but enough for investors to question Expedia’s holding of the currency–particularly in light of the price plunging 70% in value since the last all time high. Given that Expedia has been accepting Bitcoin since June 2014, when they announced a partnership with Coinbase, the company has benefited from the appreciation of BTC over the last several years. However, that very same relationship with Coinbase could have been the demise of BTC on Expedia. Coinbase’s decision in March to do away with custodial responsibility for merchants, through its new Coinbase Commerce program, has caused similar agencies to transition away from the U.S. based cryptocurrency hub. CheapAir, a travel agency which still accepts Bitcoin for payment, made the transition from Coinbase to BitPay following the change in service. Without a reliable merchant program, Expedia may have found dealing in Bitcoin to not be worth the effort of accepting the currency for payments. If so, it’s possible the agency will resume crypto-based payments in the future, assuming they can find the right partnership to fill their need. 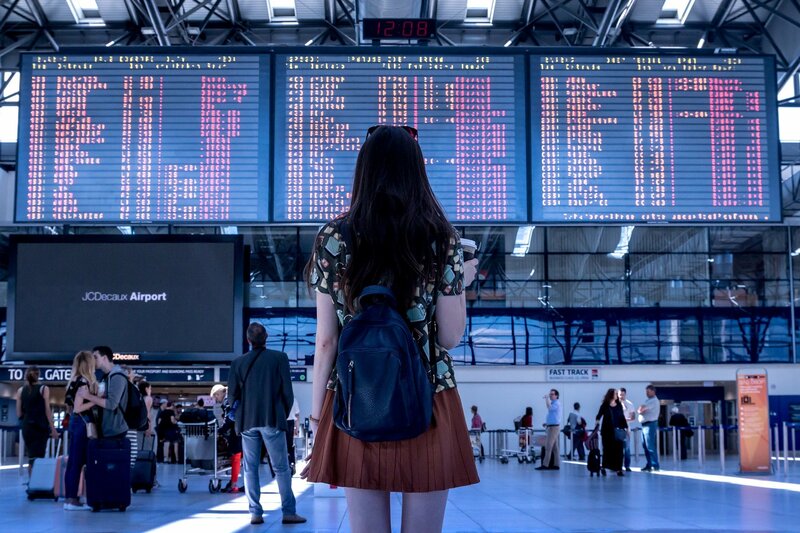 While BTC holders always have the option of cashing out their crypto to pay for travel, having companies deal directly in crypto brings greater benefit. For one, it gives the industry legitimacy and the currency usability, which is the ultimate goal of most community members. It also allows for investors to spend their currency without the tax-related headache that accompanies selling funds on exchanges. For those crypto users of Expedia looking for a new outlet to spend their BTC on travel expenses, the aforementioned CheapAir still accepts Bitcoin.